Most often than not, the bathroom is the smallest part of the house. That’s understandable though because you won’t spend most of your time in there. You will only visit the area to do your personal business, maintain your hygiene or take a bath. But even if that’s the case, we can’t help but sometimes wish it’s bigger. Not only so we could move freely, but also for us to be able to put a lot of things and maximize its function. Believe it or not, big bathrooms are actually one of the signs of a lavish home. Now do you have a small bathroom? And do you want to make it look bigger without having to tear down walls and build new ones up? 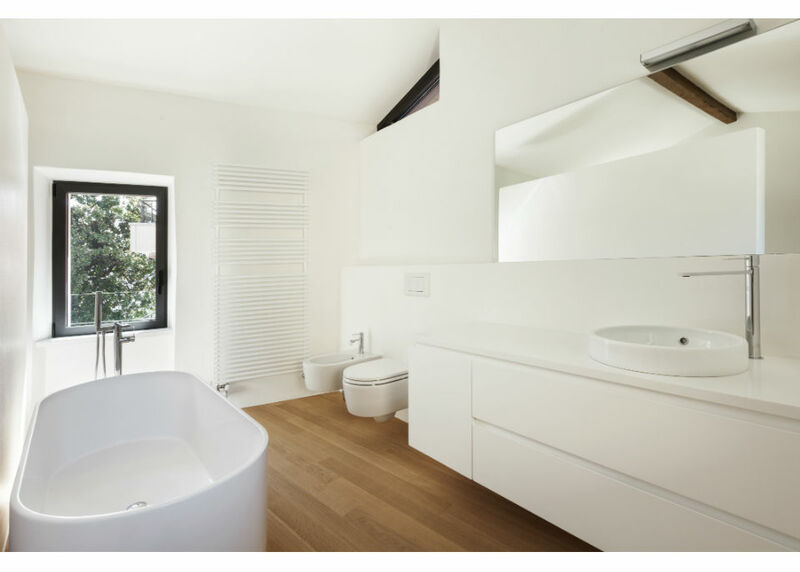 If the answer to those two questions is yes, then keep on reading because I have some of the tricks you can do to make your small bathroom look bigger. Let There Be (Natural) Light – shedding natural light in a small space can make it seem bigger. Opt for bigger windows rather than small ones. Another thing to remember is to never use dark colored curtains or shades in it. Mirrors and Clear Glasses – according to various experts, putting mirrors can make the space look even wider. But of course, just don’t put one that directly reflects the toilet. Clear Glasses for shower walls and bathroom dividers are also recommended for using unclear and opaque glasses can make the area look even smaller than it already is. Use Hanging Cabinets – If you’re someone who has a lot of bathrooms and hygienic stuff that you just can’t simply keep in your bedroom, one of the best ways to maximize the space is place them in hanging cabinets. This sort of furniture does not have legs, all you need to do is attach them to walls like your first aid cabinet. Matchy Match! – Matching the colors of the bathroom can make it look bigger. If you have a tiled floor, you can actually use the same kind of tiles for the walls because it gives an illusion that makes the bathroom seem wider. Keep The Clutter Minimal – This has got to be the simplest one. If you want to maximize the space and make the place look bigger, remove all unnecessary stuff.